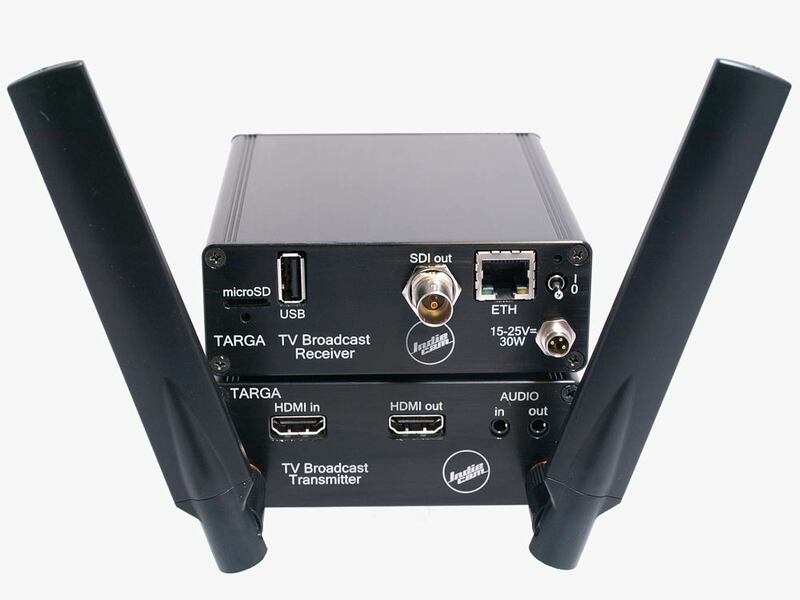 Indiecam´s TARGA field units are ultra small professional streaming devices that are especially designed to enable TV broadcast directly into an LTE network (4G and 4,5G) and to regular IP-network connections. TARGA-TRANSMITTER allows realtime video transmission into the cloud or into any broadcast studio in the world in real time and with an incredible low latency in the encoder. It provides 3G HDSDI and HDMI connectivity – any type of camera can be connected. Broadcast features include a superior high bitrate encoding at up to 30Mbps, a built in video-scaler, Intercom, wide range DC-IN, and many more. There are many professional options available as upgrades. These include genlock out, custom metadata, CAN-interface for in-vehicle applications, serial interfaces to control additional other devices of any kind from TARGA, and many more. Project oriented custom features can be easily integrated due to the flexibility of the system. The unit is battery powered with a built in rechargeable battery. It works without any cables to support easy mounting on vehicles, humans, animals, sports equipment or any other moving object. TARGA-TRANSMITTER has dedicated functions to be able to work correctly on critical networks like LTE. TARGA supports simultaneous dual video streaming. For instance, one high resolution stream can be routed to a broadcast infrastructure and one low resolution SD stream can be used for previewing. Both streams are H.264 encoded and entirely individually configurable. Furthermore, both streams can be recorded on local flash storage in the field unit for remote playback and safety backup. Therefore, no critical moment, for example a goal, will be lost and your precious content is always preserved and accessible through the network. Users can route the high end content streams to any location and streaming platform worldwide. The streams can also be routed directly to user who can view the content directly on any device (mobile phones, tablets, laptops, PC, etc.). 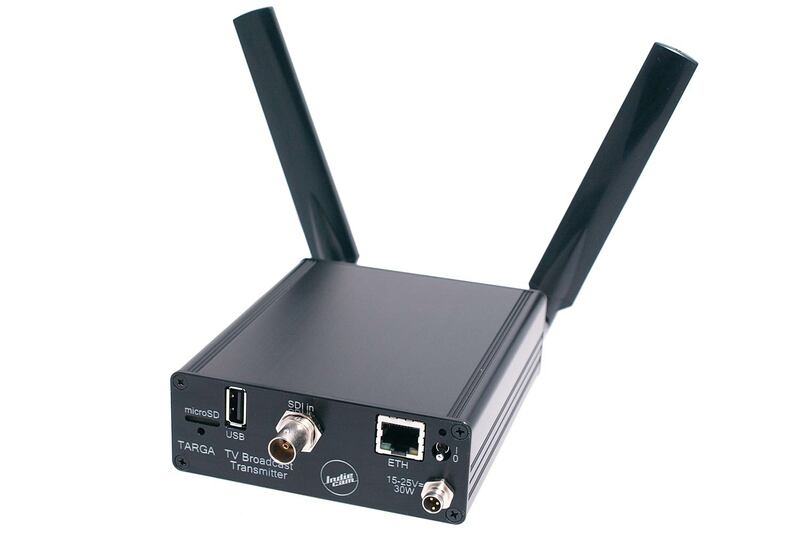 TARGA-RECEIVER is a portable broadcast decoder, which converts any H.264 stream into HDSDI and HDMI signals. With this device it is easy to receive TARGA-streams and directly inject them into a traditional SDI-based broadcast environment. But TARGA-RECEIVER is much more. It enables the producer to use content generated by audiences, crowds, participants, eye-witnesses and enforcement-agencies directly and potentially live and easily within an traditional infrastructure. Both TARGA devices are highly configurable for use in professional broadcast environments and large networks.